Geo-Tracking feature is used to locate the managed mobile devices. To get the geographical location of the managed mobile device, you need to have the ME MDM app installed in it. Mobile Device Manager Plus uses a combination of GPS, Wifi, and GSM to obtain the most accurate location of the device. MDM does not maintain any history of records about the physical location of the devices, unless Location History is enabled. You can use this feature only to locate the recent location of the managed mobile device. Click here to know how to permanently enable Location Services and ensure users cannot disable it, on Android and iOS devices. 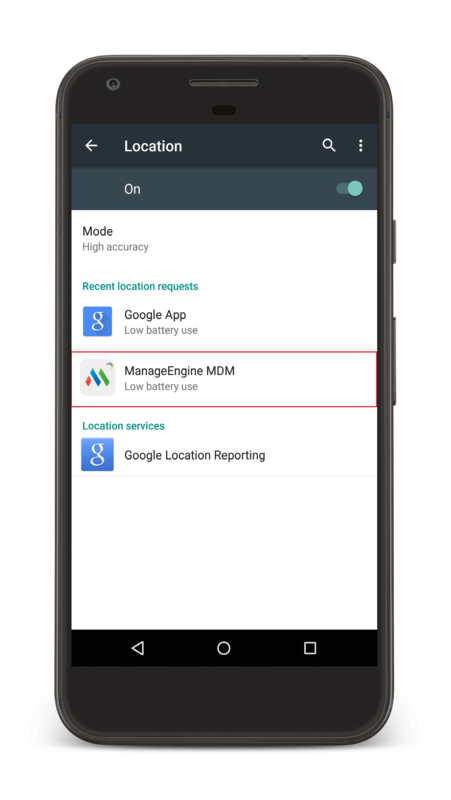 Once ME MDM app is installed, open the app and provide the app with permission for Location Services to track the device location. Enable Location services and locate ME MDM App to add permissions to it. You have successfully enabled location services on iOS devices. Location Details are updated only when there is a significant change in the location of the mobile device. Check Location Settings and ensure ME MDM is listed under Recent location requests. You have successfully enabled location services on Android devices. 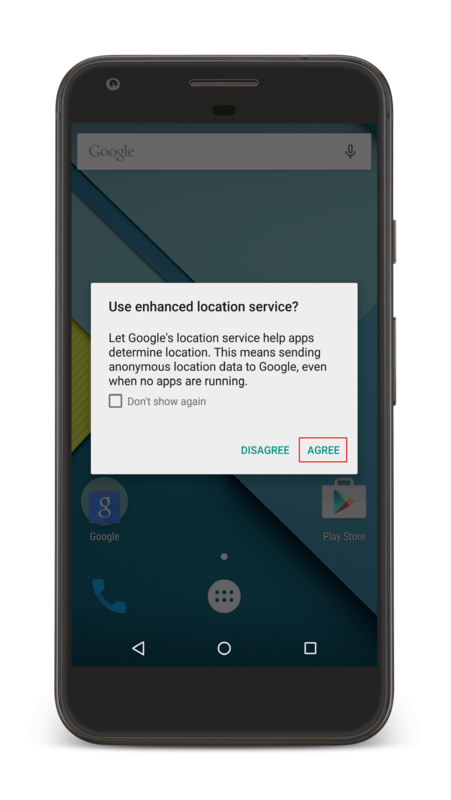 For Android devices running OS 6.0 or above, the user has to enable location tracking, under runtime permissions for ME MDM app. To ensure location tracking is always on without any user intervention, enroll the device as Device Owner and enable GPS to be Always On, using Restrictions policy. 1. Select Settings icon on the managed device. 2. Select Privacy from the list provided in Settings. 3. Select Location from the list provided in Privacy. 4. Now, select the Location toggle and turn it On. You have successfully enabled location services on your Windows phone and can now find the location of the device. 3. Select the location services to turn on location services on the device in case it is turned off. 4. Now, the Location services settings is turned On. 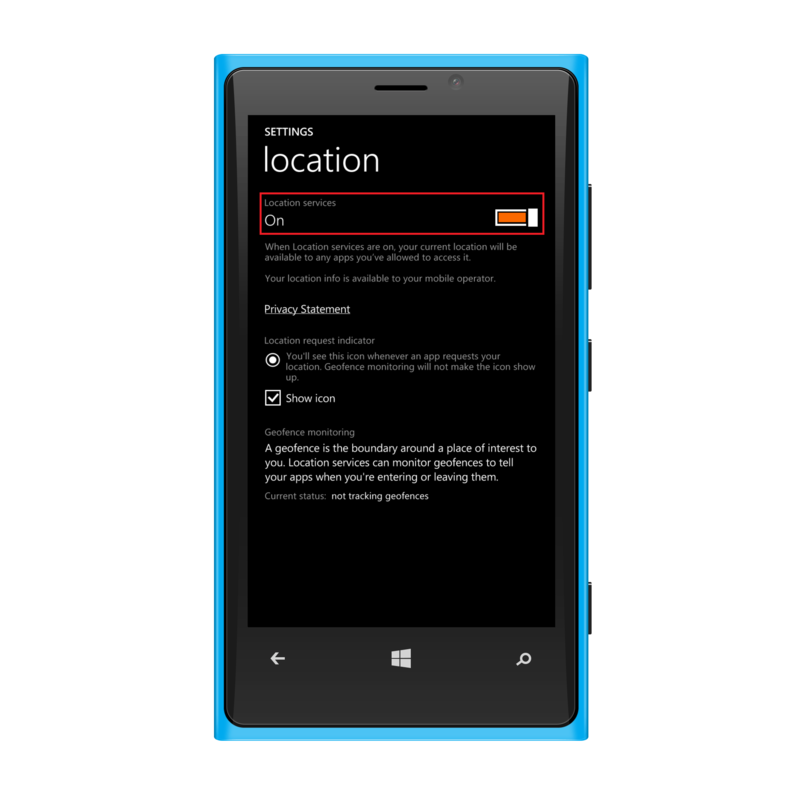 You have successfully enabled location services on your Windows phone and can now locate the device. # If you're using MDM integrated with Desktop Central, click on the MDM tab and follow these steps. On the web console, click on Inventory tab and select Geo-Tracking from Inventory Settings. Select All Devices to track the location details on all the managed devices. On choosing All Devices, you are given the option to browse and select Group(s) which you want to exclude from Geo-Tracking. The devices for which you do not require location tracking can be grouped and excluded. If you enable Geo-Tracking for a device which is present in any excluded group(s), you can remove the device from the excluded group(s) to enable Geo-Tracking. Alternatively, you can also choose to create a new group to add the device and enable Geo-Tracking. Click Location Data to view the device locations. Choose Selected Groups to track the location details on the managed devices present in the group(s) selected. You can include selective devices into specific Groups, browse and select those group(s) to which you wish to apply Geo-Tracking settings. When a newly enrolled device is added to a Group which is already selected for Geo-Tracking, then the settings are automatically applied to the device and the location of the device can be tracked. When any newly enrolled device is assigned to a Group which is excluded from Geo-Tracking, then the location details of the device cannot be accessed. The managed device should have connection to the internet, it can be either Wi-Fi or mobile data connectivity . Location Services should be enabled on the managed device and ME MDM App should have permissions to use it. Refer this for enabling Geo-Tracking for iOS devices, Android devices and Windows devices. Enabling Geo-tracking for a long period of time might drain the battery. Select the Device and view the Device Details. Click on Location tab. You can see the location of the mobile device by latitude and longitude. Location of the device is updated only when the device switches tower and when the end user opens the App Catalog on their mobile device. In countries where usage of device location data is prohibited. However, there rises a predicament when you want to locate missing devices. To overcome this, MDM provides you Lost Mode, whereby you can track missing devices. Lost Mode lets you track managed devices only when they're lost. 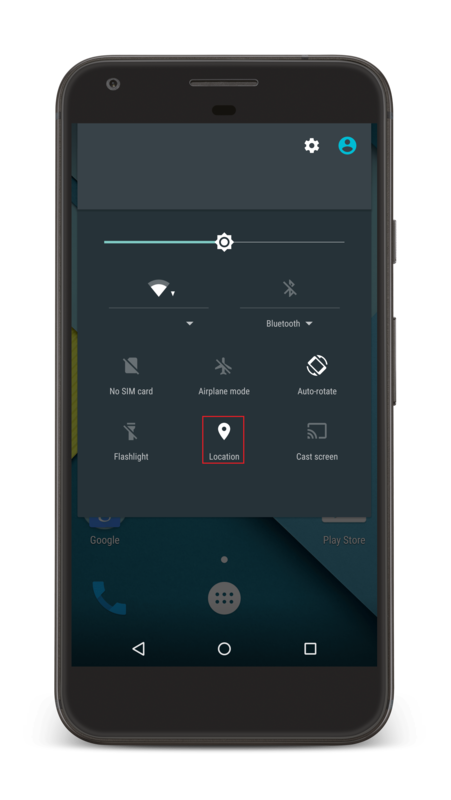 Lost Mode lets you mark the lost devices, get their location, lock the devices and even wipe the data. Location data can be used to retrieve the device if it has been misplaced, while the other commands such as device lock and data wipe can be used if the device is stolen. You can locate devices and enable Lost Mode, only by marking devices as lost. For marking the device as lost, # If you're using MDM integrated with Desktop Central, click on the MDM tab and follow these steps. you need to select the device in the Inventory tab, go to Geo-Tracking tab in device details and click on Enable Lost Mode, and follow the instructions to enable Lost Mode. Lost Mode is supported for iOS and Android. To configure Geo-Tracking settings to locate devices only when lost, # If you're using MDM integrated with Desktop Central, click on the MDM tab and follow these steps. click on Inventory tab, select Geo-Tracking and for the Track devices option, select When Lost. However, Lost Mode can work in both cases - track device location at all times or track device location only when lost. When Lost Mode is enabled in Supervised devices running iOS 9.3 or later, ME MDM app need not be installed. Even if Location Services is fully disabled in the device, MDM can still locate the device. Another important feature in Lost Mode for iOS devices is that a message and contact number can be displayed in the lock screen. This can be beneficial in returning the misplaced device to its rightful owner. If the device has been misplaced, you can use Remote Alarm command by which the device raises a sound alarm. The above screenshot shows a sample message and contact number displayed in the lock screen. Clicking on call button allows a call to be made to the contact number specified. Further, the device is locked on enabling Lost Mode and can be unlocked only through MDM, ensuring unauthorized access is completely restricted. For other iOS devices including unsupervised iOS devices, not all capabilities of Lost Mode are supported.ME MDM app must be installed in the device and Location Services must be enabled for ME MDM app, to obtain the location details. 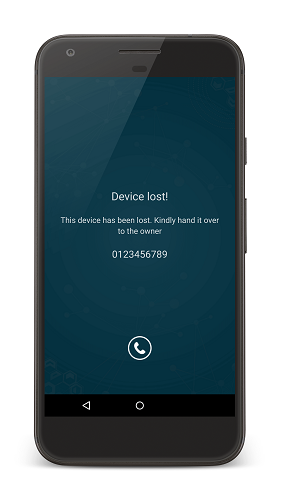 However, the other location-indepent functionalities of Lost Mode can be still used - you can lock the device, display message and contact details in the lock screen and wipe the device if need be. Security commands - Remote Lock, Restart and Shutdown cannot be executed when the device is in Lost Mode. Option to call the specified contact number by clicking the call button present in the lock screen. You can also wipe the device to ensure there is no unauthorized access of corporate data present in the device. Also, an additional option available for Lost Mode in Android, is resetting the passcode. You can reset the passcode in the device and have the new passcode mailed to the user. This ensures unauthorized access is restricted, even if the existing device passcode is known. The biggest problem when it comes to locating lost devices is that the functionalities required to locate the device, such as Wi-Fi, Location Services etc., can be disabled in the device, rendering Lost Mode impractical. However, MDM by default ensures some of the required capabilities are enabled by default once the device is marked as lost . The advantage of using Lost Mode is that it can enable functionalities, if they have been disabled by the user. 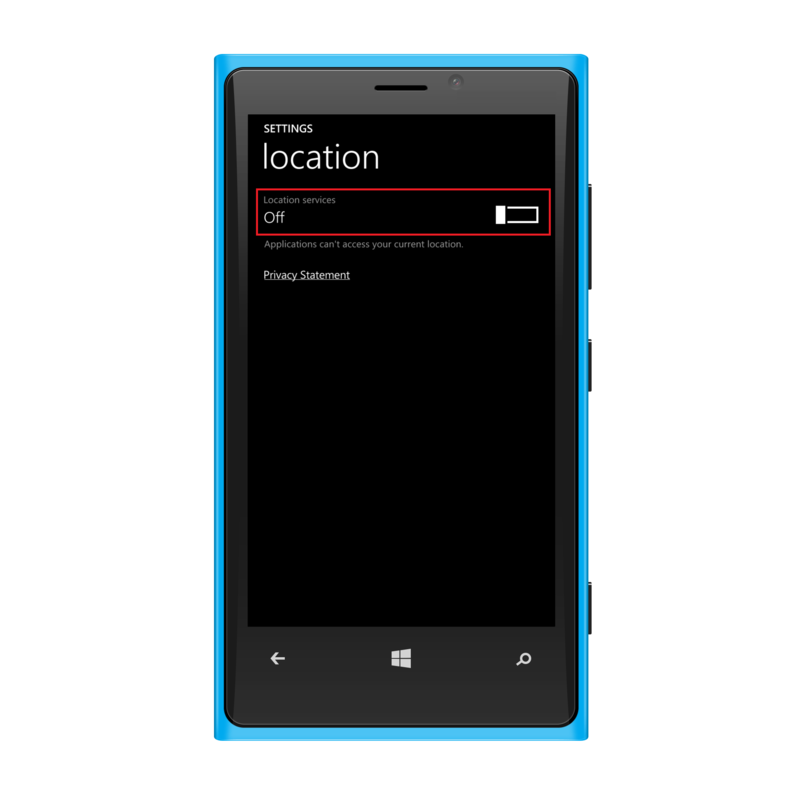 For example, if a device doesn't have Location Services switched on, MDM can still locate the device using Lost Mode. Lost Mode ensures Location Services gets enabled automatically in the background with zero admin action/user intervention. The following table specifies the list of all features which are enabled by Lost Mode silently, irrespective of whether it has been enabled/disabled in the device. Device Owner and Profile Owner are only supported for devices running Android 5.0 or later versions. Under Actions, click Locate the Device, you can view the location of the device. You can now locate the geographical location of the enrolled devices instantly. Location History as the name suggests, tabulates the list of locations traversed by the device. Location History stores data up to 30 days, which is ideal if the locations are to be viewed at a later time. The biggest advantage with Location History, is that the tracking can be customized to suit the needs of the organization. MDM provides 3 different options for storing the list of location(s) based on distance traversed. For storing locations when device movement is miniscule, choosing the option of tracking the device on moving 100m is ideal. In such a case, the location update frequency is more, ensuring even the smallest of movements are covered. The other two options cater to relatively larger distances, with one option tracking devices on moving 500m and the other for tracking devices on moving 1km. The first option of tracking devices on moving 100m, consumes more battery and cellular data due to frequent location updates, while the other two options consume relatively lesser cellular data and battery. Another advantage is that the Location History data can be exported as a CSV file. This is ideal if the Location History data is to be shared. On the MDM server, click on Inventory tab. Select Geo-Tracking present under Inventory Settings. Enable the option Location History and also the details as to when the location details is to be saved. Click on Save Changes to save the configuration. If the device is not connected to the Internet. If the device has been powered off. If Location Services is not enabled in the devices. Click here to know more about enabling Location Services in devices. Click on View in Google Maps to view the devices on Google Maps. 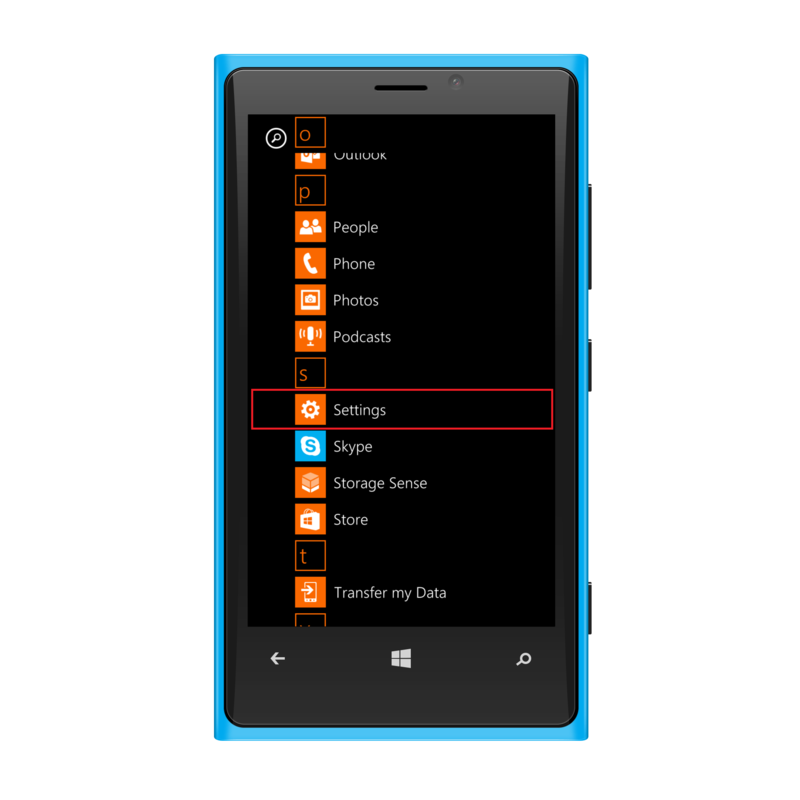 Follow the steps that are displayed on the window, to download the CSV file of device locations. Open My Google Maps and click on Create a new map. Provide a name and description to help identify the map for later use. Click on Import to upload the CSV file downloaded from the MDM console. Check if Latitude and Longitude has been selected, then click on Continue. 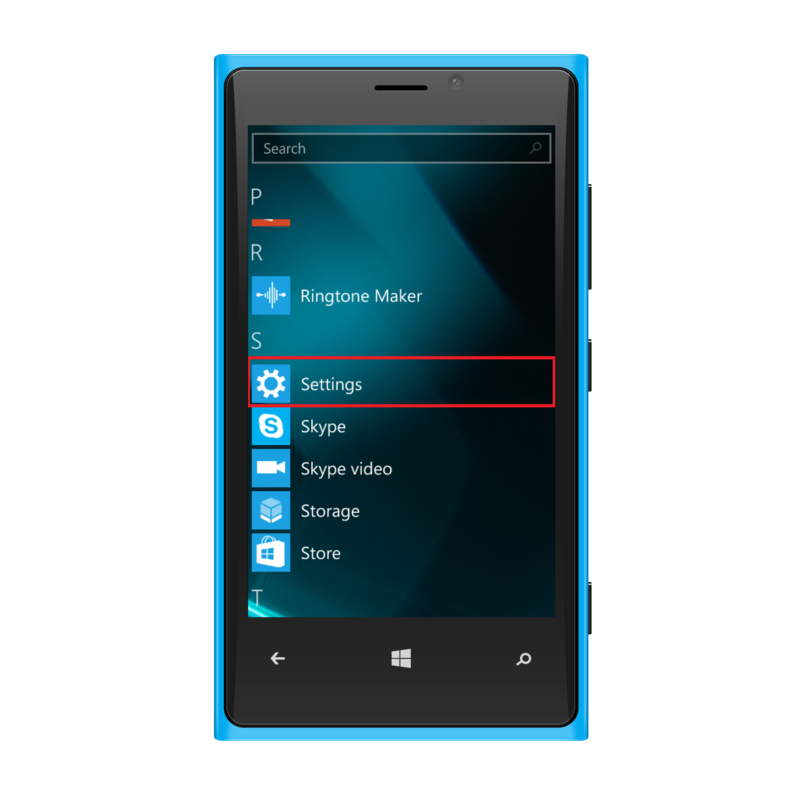 Choose the appropriate option to be displayed as the title of the markers, preferably the device name. Click on Finish to display the device locations.